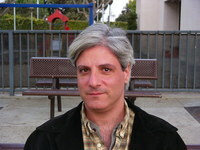 David L. Ulin is book critic, and former book editor, of the Los Angeles Times. He is the author of The Lost Art of Reading: Why Books Matter in a Distracted Time, Labyrinth, and The Myth of Solid Ground: Earthquakes, Prediction, and the Fault Line Between Reason and Faith, selected as a best book of 2004 by the Chicago Tribune and the San Francisco Chronicle. He is also the editor of three anthologies: Another City: Writing from Los Angeles, Cape Cod Noir, and the Library of America's Writing Los Angeles: A Literary Anthology, which won a 2002 California Book Award. His writing has appeared in The Atlantic Monthly, The Nation, The New York Times Book Review, Bookforum, Black Clock, Columbia Journalism Review, and on National Public Radio's David L. Ulin is book critic, and former book editor, of the Los Angeles Times. He is the author of The Lost Art of Reading: Why Books Matter in a Distracted Time, Labyrinth, and The Myth of Solid Ground: Earthquakes, Prediction, and the Fault Line Between Reason and Faith, selected as a best book of 2004 by the Chicago Tribune and the San Francisco Chronicle. He is also the editor of three anthologies: Another City: Writing from Los Angeles, Cape Cod Noir, and the Library of America's Writing Los Angeles: A Literary Anthology, which won a 2002 California Book Award. His writing has appeared in The Atlantic Monthly, The Nation, The New York Times Book Review, Bookforum, Black Clock, Columbia Journalism Review, and on National Public Radio's All Things Considered. We’d love your help. Let us know what’s wrong with this preview of The Hazards of Good Fortune by Seth Greenland.